How Long Do I Have to Touch Something Before I’m Covered in Germs? Being microscopic, germs are, quite literally, out of sight, out of mind. Because of this, most of us rely on pseudoscience to remain germ-free, like applying the five-second rule to food dropped on the floor. But surprise! The five-second rule doesn’t work. Even washing your hands after using a public bathroom doesn’t really work — at least if you plan on using the door handle afterward. It is, in fact, virtually impossible to do anything at all without coating yourself in a fresh layer of squirming bacteria. This applies outside of the bathroom, too: “A study performed a few years ago demonstrated that fomites — which appear on doorknobs, drinking fountains and the like — can transmit various viruses, including those capable of causing the common cold and influenza,” Leavey says. “So you need to be careful everywhere others may have left their viruses behind.” In simpler terms, everything is crawling with germs, and we’re all disgusting. 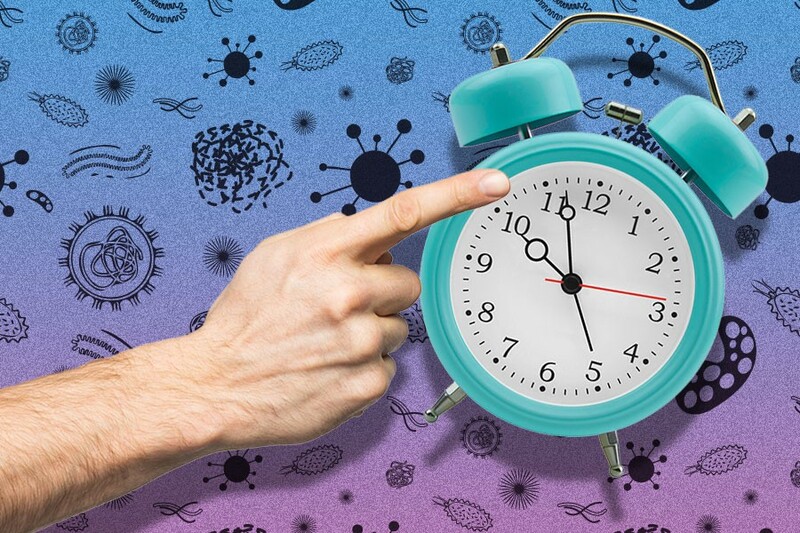 Case in point: A recent study found that one sick colleague can contaminate 50 percent of surfaces and employees in an 80-person office, in just four hours. Science backs up his claim: A study published in the peer-reviewed Journal of Applied Microbiology found that germs are able to survive and immediately cross-contaminate foods even after long periods of time on dry surfaces. None of this means you should ditch hygiene altogether to bask in the glory of our germ-filled world: That would be silly. What it does mean is that you should be even more mindful of proper cleanliness: Wash your hands often, avoid direct contact with heavily-used public objects and — for God’s sake, man—do not eat food that’s fallen on the floor, even for a nanosecond.